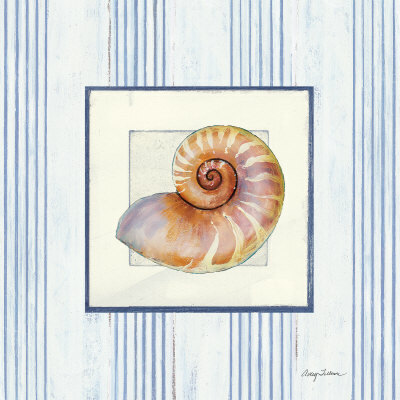 This was my first introduction to sea glass, so I wasn't actively looking for long and I'm not particularly well versed in sea glass yet. We went to Hanna Park Beach near Jacksonville, Florida, for my mom's birthday. 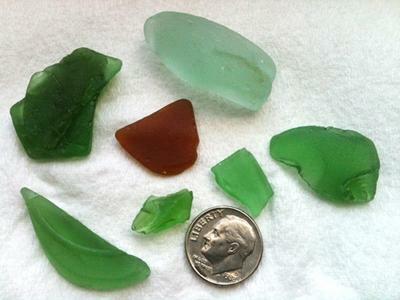 I found several small pieces of sea glass: five in light emerald green, one in dark amber brown, and one is light seafoam. Out of them I think only the seafoam one is of any sort of jewelry quality (though it's not fine quality), but the crescent-shaped green one could also be used because of it's shape. They're all lightly frosted except for the seafoam one, which is probably more medium frosted. The seafoam one is also the smoothest and largest, and the other are somewhat jagged edged except for the amber one which is a pretty typical flat piece. This was in the middle of summer on a Sunday, so weekdays and later in the year the selection might be a lot better. Hannah beach is in a state park, so it's a dollar per person or three dollars a vehicle to enter. It's a very even and nice beach, though the current can be dangerous due to high chance of rip tides especially during bad weather. Hanna beach is also a prime shark tooth location. Found brown, green, and clear. Some worn, some have sharp edges. Cannot drive to this beach without military access. At one time, you could walk in from Hanna Park which is next door. 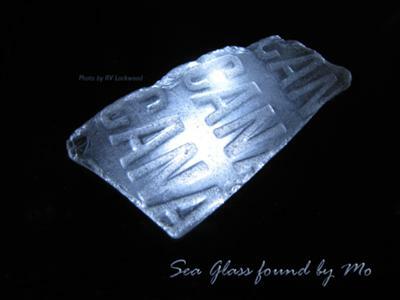 Similar glass finds may be found at Hanna Park.